It is mainly used when putting up posters in exhibitions because the adhesion is weak. As it is usable for one year with one roll, it is very convenient and useful. This review is about item#39551163. This review is about item#8401321. Velcro tape purchased thought that adhesion part will not come off even if the fixed object vibrates somewhat. I would like to purchase next time if there are no sticky on the back side or a slightly longer product. This review is about item#39551127. Velcro sticker is very firmly attached. Together, the weak adhesion on the back side is not too strong, it is a very good product with just good adhesion which is easy to peel off. This review is about item#39551111. The adhesion was weaker than I thought. However, there are also points that the steel plate was not flat I thought that I wanted to increase adhesion a little. I will try again tomorrow, so I will report again. Previously, when using it at a photo exhibition was fine! Quality is no problem. 3 m winding, 5 m winding is also convenient. It is also necessary to sell male and female roses. Plastic board is pasted on the wall. It is convenient to cut it to length freely and use it. It is also cheap. The strength is also exactly good. This review is about item#37312265. I was worried about how strong the adhesive tape is, but I think there is enough durability. 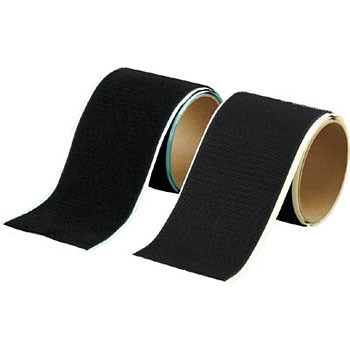 There is no frequency of attaching and detaching the Velcro because it is used for fixing, so there is no problem at all about how to use this time. Speaking of what I wanted, I thought whether it would be easier to select a little if the full length variation was abundant.